It’s time for another side-scrolling beat-em-up game review! This time, we dive into the latest entry from probably the most iconic beat-em-up franchises of all time, Double Dragon. If you’re a purist from the 80’s or 90’s that’s getting ready to scoff, know that this is not a reboot or a remake. 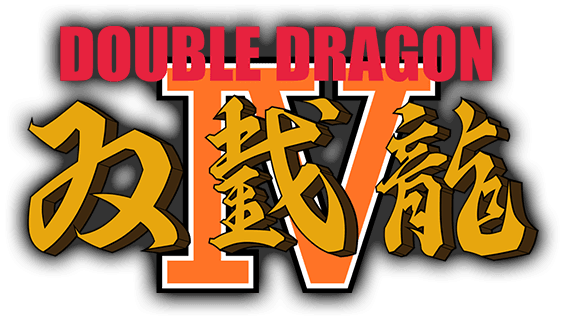 Double Dragon IV is a direct sequel continuing the story line, appearance, and ambiance of the Double Dragon’s I, II, and III ported to the original Nintendo Entertainment System (NES). Even all of the classic sprites from the NES ports are back in their nostalgic glory. Let’s celebrate the Double Dragon franchise’s 30-year anniversary as we dive into Double Dragon IV, a $6.99 title available now for the Playstation 4 and Steam. If you played any of the previous Double Dragon titles mentioned above, just remember that there are story nuances and differences between the NES ports and arcade versions. The most notable difference is that Marian is alive in the NES story line but left dead in the arcade version. Specifically speaking, at the beginning of both versions of Double Dragon II, Marian, the famed damsel in distress of the Double Dragon series, is murdered by the Black Warriors. In the arcade version, she’s pretty much left as dead, no matter how well you beat the game. In the NES version, should you beat the game on master or supreme difficulty levels, Marian is brought back to life by… magic? That slightly affects Double Dragon IV as this story’s timeline continues right after the events of the NES’s Double Dragon II. After defeating the Black Warriors, Billy and Jimmy Lee begin to travel around the country; opening dojo’s to spread the knowledge of their Sosetsuken fighting style. During their travels they are attacked by remnants of the Black Warriors who is now in an allegiance with a brand new enemy. Now Billy and Jimmy must fight for their lives against enemies both old and new. The presentation of the game, down to its campy retro cut scenes, continue the flavor of the NES games quite directly. Not only are many of the older enemies’ NES sprites reused, but some of the background music as well to the very scene where Marian gets captured is also recycled. Marian getting captured occurs very early in the game, and is almost expected just because she’s alive. Despite being a Sosetsuken student herself, getting captured is sort of her thing. But I thought it strange that her capture is literally the reused NES cut scene from the beginning of Double Dragon I. I would have preferred that they “re-did” the scene using Double Dragon IV’s newish sprites, but that’s just me.